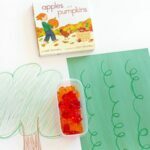 This fine motor activity for toddlers brings the winter fun indoors. 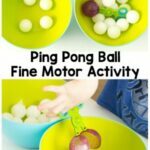 Your child will enjoy exploring the texture of the cotton balls while developing the fine motor control needed to get the snowballs in the small opening of the box. As with many activities for toddlers, make sure that you supervise your child at all times. Alyssa was 16 months when I did this activity, but we have done this same thing with different objects since she was about 12 months old. I also stay right next to her, talk with her and model how to play with objects. 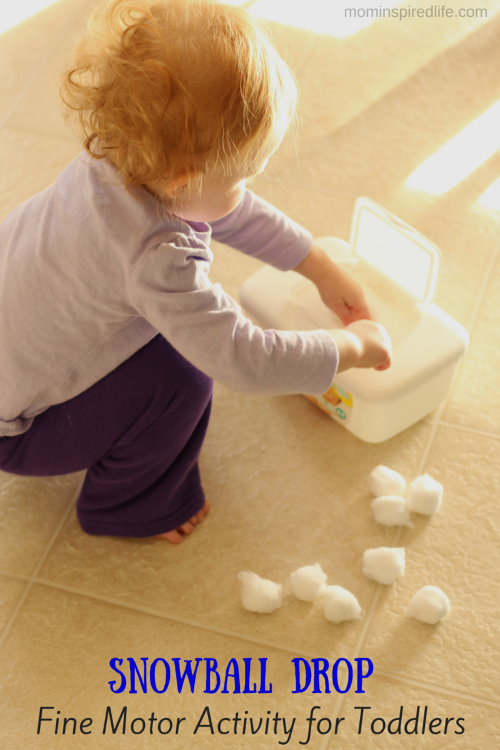 Place a pile of cotton balls on the floor next to an empty wipe container. Then encourage your toddler to drop the snowballs in the small hole at the top of the container. 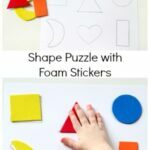 This is a great way to help your child develop the fine motor control necessary to complete many other tasks in the future. Chances are your toddler will also take some time to stop and explore the texture of the cotton balls and may even pull them apart. 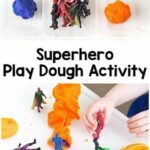 This is also a great way to develop fine motor skills. Alyssa usually fills the container and then I dump it again so she can start over. This continues until she has had enough and decides to move on to something else. 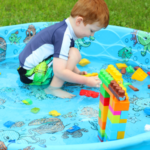 At this age, an activity like this typically lasts about 5-10 minutes. That’s all. So don’t feel discouraged if your child only participates for a few minutes. It is still helping to develop necessary skills and it is something you can pull out and do again and again. 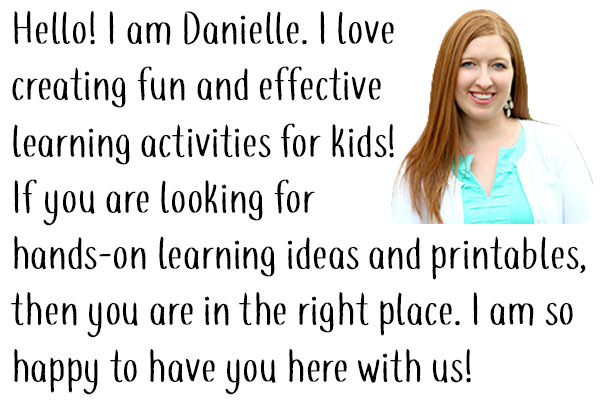 I also have a TON of activities pinned on my Winter Activities Pinterest board!